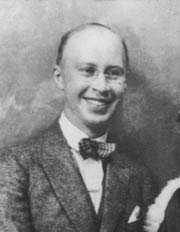 Intense agitation, romantic lyricism and driving energy are prominent elements of the Seventh Piano Sonata, one of three that Prokofiev created during the years immediately following the Nazi invasion of the Soviet Union. Composed in 1942, the work is sometimes referred to as the “Stalingrad” Sonata, because some writers have claimed that the powerful music suggests the heroic defense of the city of Stalingrad by the victorious Red Army. Of the nine sonatas written by Prokofiev, the Seventh has retained its initial popularity. The honor of presenting the premiere of the Sonata went to Sviatoslav Richter. The composer sent the pianist the score in early January, 1943, and the performer's reaction might be gauged by the fact that he learned the music in four days. However, the rapidity with which it was studied is not an indication that the work is simple, in fact, the Seventh demands as much virtuosity as Prokofiev would ever demand of his own playing. Richter wrote his impression of the Sonata in this way: Disorder and uncertainty reign. Man observes the raging of death-dealing forces, but what he lived for doesn't cease to exist. He feels, he loves. The fullness of what he is feeling reaches out toward others. He is together with the rest of mankind, protesting and suffering deeply with them in their common grief. Full of a will for victory, he makes a headlong running attack, clearing away all obstacles. He will become strong through struggle, expanding into a gigantic and life-affirming "force." The debut performance of the Seventh took place in the Hall of Columns near the Bolshoi Theatre on January 18, 1943. The audience burst into spontaneous ovations of acclaim over the monumental work. After many curtain calls, the majority of the audience departed, but a few musicians remained behind, David Oistrakh among them. They implored Richter to play the Sonata once more so they could listen to it more carefully. The Allegro inquieto movement is a variant of the sonata-allegro form. The primary theme is a restless angular melody that expresses a combination of anxiety and grotesque mockery. At its first appearance the secondary theme is quite a bit calmer, but after the Development section, the theme is played at a much faster speed, thereby attaining the mocking attitude of the first theme. The Andante caloroso section is in ternary form, and the prominent theme seems to be a simple, peaceful, and romantic outpouring. As the large contrasting section begins, the emotions of the music begin to darken, building to a tragic intensity. A lengthy passage featuring an ostinato interval of a minor third gradually allows the music to relax, forming a transition to the serenity of the opening section. The Precipitato movement is a rhythmic tour de force written in 7/8. Following Classical traditions, Prokofiev concludes his Sonata with a Rondo. The infectious jazz rhythms, amazing cross-handed passage work, and a brilliant Coda insure an ovation of major proportions. To hear the amazing final movement again, click Listen!